The Rise Of The Machines Is Coming: Are You Sarah Connor Or Luke Skywalker? Artificial Intelligence (AI) is on the horizon. Unlike past industrial revolutions, with inventions like the power loom and steam engine, we’re able to foresee the new technology that will irrevocably change every aspect of our existence. Once you reign in your classes and establish order, after a few years, you’ve inevitably developed a process based on a few iterative steps. This is pretty normal. The alternative is constantly being in a chaotic, blood pressure exploding and weekends in the fetal position for the rest of your career; nobody wants that. That process, based on the curriculum, your pedagogical approaches and personality, is now your routine. Now here’s where the administration decides to change “a few things” and implement some new tech; let’s say it’s an iPad for every student. My gut reaction is, “Cool. But what am I going to do with the cool assignments I’ve already created that don’t use the iPad? How many hours of extra training do I need to do to properly use this in my class?” The inner luddite starts to set in quickly and a deep rooted resentment sets in and I start rambling at dinner about “Getting back to basics and the 3 R’s”. I don’t want to be an alarmist but – Teachers are woefully unprepared for the rise of the machines! Here’s a direct quote from Michael Bennet. Bennett is an associate research professor at the School for the Future of Innovation in Society and The Center for Science and the Imagination at Arizona State University in Tempe, Arizona. What’s Being Discussed Outside the Classroom? I recently attended a great Meetup in Montreal on AI Ethics: Future of Education and was struck with how many awesome people from many different disciplines will gladly give up two hours of their night. What else struck me was that, out of a group of 50, there were only 4 teachers! There has to be more engagement here or maybe the word isn’t being passed along. TEACHERS, start learning about AI and how it will affect how, what and why you teach. We addressed the 3 most important skills that need to be taught and we overwhelmingly agreed that critical thinking, problem solving and creativity were of highest importance. This aligns perfectly with p21‘s four learning and innovation skills for the 21st century. If you’re already teaching these skills, great. The one thing that seemed to be our greatest asset compared with the machines was our metacognitive abilities. One of the fancy computer scientist in the room said we still have at least 50 years before AI can do that well. OMG, that’s it?!! Inhibition – Stopping behavior at appropriate time. Shift – Freely move from one situation to another. Emotional Control – Ability to modulate emotional responses. Initiation – Start a task and independently generate ideas. Working Memory – Holding information in mind in order to complete a task. Planning/Organization – Manage current and future tasks. Organization of Material – Ability to impose order to work, play and storage spaces. Self-Monitoring – Ability to monitor one’s performance against a defined standard. To get a really good idea of how important these skill are towards future success, check out our webinar hosted by Roxanne Desforges. So what to do? Well, you can adopt one of two postures, in my opinion. You can become Luke Skywalker or Sarah Connor. Luke Skywalker is the hero of the Rebel Alliance and one of the last Jedi but started out fixing robots on his uncle’s moisture farm on Tatooine. His relationship with AI was one of inclusion and respect, C3PO and R2D2 were his family. The Skywalkers will welcome and accept the introduction of AI based learning and will quickly adapt to their new reality and this will inevitably change the way teachers teach. Princeton researchers have put students into MRI machines while they learn a flip lesson and measured their brain activity. They coupled this with the moments they slowed the lesson down and or rewatched certain portions in order to build in some machine learning that will eventually lead to students having very individualized learning developed for them not by a teacher but a machine. 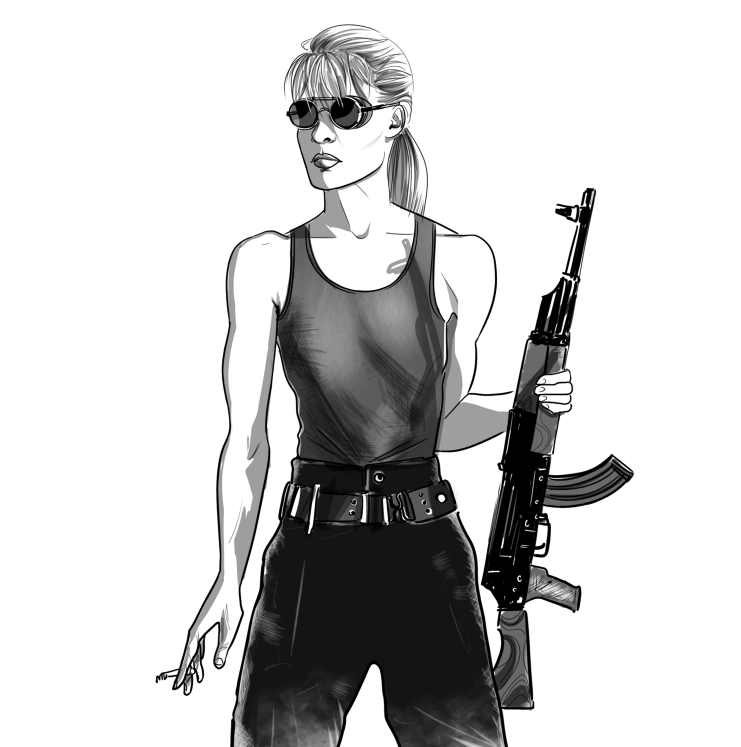 Sarah Connor is the hardened, T800 crusher that devotes her entire life to protecting her son from the machines and mounts a full on pre-emptive strike against SkyNet before they can ever develop the AI Terminators. I reckon I’m a 80/20 Skywalker to Connor ratio. I can’t wait to see what AI can bring to the classroom and the new frontiers it will inevitably open, however, my primitive, soldier side says to keep an eye on this new beast and get prepared for the worst it may have to offer…and then kill it. Either way, as educators, we at least need to know what’s coming and owe it to our students to inform them of AI’s world changing potential.